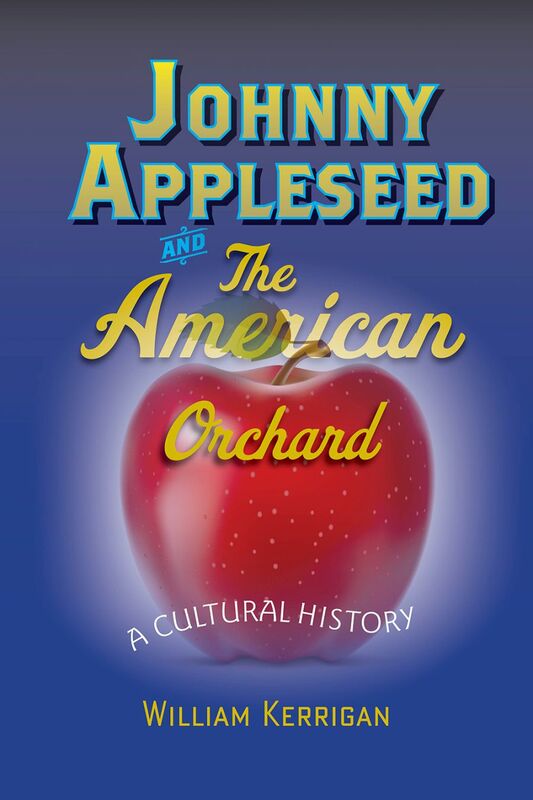 Johnny Appleseed and the American Orchard: A Cultural History explores the real life of the American icon. Image courtesy of the Johns Hopkins University Press. William Kerrigan completed Johnny Appleseed and the American Orchard: A Cultural History with the assistance of an NEH summer stipend. The book, which was published by Johns Hopkins University Press in 2012, examines the life of Johnny “Appleseed” Chapman, an American frontier hero so iconic that he has become the stuff of legend. Kerrigan places the oral tradition surrounding Chapman in conversation with documents drawn from archives and historical societies throughout the country. He presents readers with the biography of a complex and unusual man. In the process, Kerrigan provides an inroad to an underexamined period of American history: the midwestern frontier in the 75 years following the American Revolution. William Kerrigan delivers a lecture on Johnny Appleseed as part of the Ohio Humanities Speakers Bureau. Image courtesy of William Kerrigan. The legend of Johnny Appleseed has particular meaning for the people of Ohio, where Chapman spent much of his life. Since publishing Johnny Appleseed and the American Orchard, Kerrigan has traveled the state, giving invited talks to local historical and genealogical societies, as well as library groups. 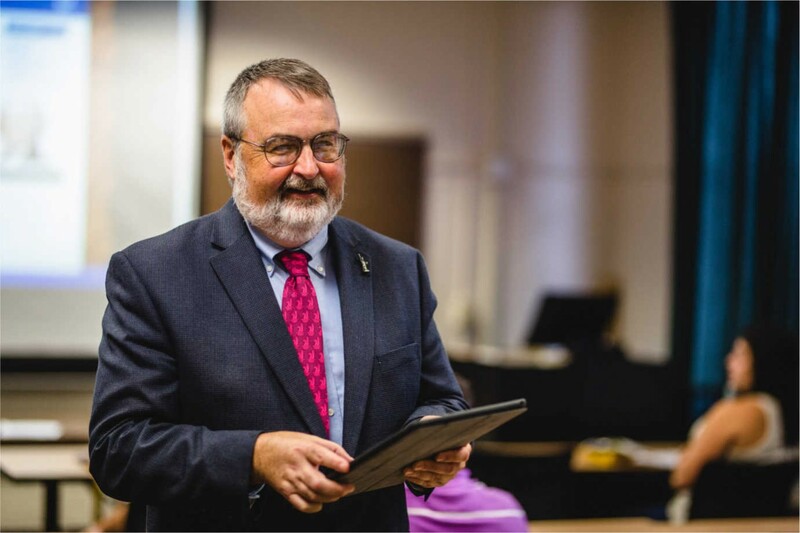 He was invited to join the Ohio Humanities Speakers Bureau, a program that helps small communities offer public humanities talks, and he continues to give several lectures a year at the invitation of Ohio organizations. The NEH summer stipend provided Kerrigan with much more than the time to write. Because NEH research grants are reviewed and recommended by panels of experts, academic publishers showed a greater interest in his manuscript. Johnny Appleseed and the American Orchard also served as a springboard for his teaching and further research. He uses Appleseed’s legend and Chapman’s life to bring his courses on the American Revolution and environmental history to life for his students. Kerrigan’s new project on the history of the apple in North America extends this work and has been supported by George Washington’s Mt. Vernon, where he recently spent a month doing research.